Over the last decade, John Green has impressed readers with a refreshingly new take on modern fiction, including works like The Fault in Our Stars, Will Grayson, Will Grayson (with David Levithan) and Paper Towns. To commemorate the publication of his 2005 debut novel, Looking for Alaska was re-released this January as a special 10th anniversary edition—which includes an introduction and question and answer section by Green and deleted scenes from the novel’s first draft. Some fans insist that Looking for Alaska is John Green’s best work, and with great reason. In the new edition’s introduction, Green explains he wanted to show how people’s lives can be defined as before and after a particular significant event. The book starts off with Miles Halter, who leaves Florida to attend Culver Creek, a prep school in Alabama, for his junior year. He is fond of reading biographies, specifically memorizing famous people’s last words. Miles uses Francois Rabeaisis’s last words as the reason for leaving home to attend prep school— “I go to seek a Great Perhaps.” When he arrives at Culver Creek, he meets his roommate, Chip, nicknamed “The Colonel.” The Colonel nicknames Miles “Pudge” because of his slender figure. Lke any school, there are cliques, the most prominent two are the rich locals who go home on the weekends, and the regular kids who attend the Creek 24/7. The Colonel then introduces Miles to his friends, Takumi, and Alaska Young, a beautiful but emotionally unstable girl. Miles automatically falls in love with Alaska, even though his chances of getting with her are unlikely. John Green does a good job of character building in this time, and although the story doesn’t seem to have a direct conflict, several points of personal distaste from Miles and his peers drive the story on well enough. Before his junior year, Miles was an outcast. He says only two people attended his going-away party, people who weren’t even his friends. This is an example of why Miles wants to seek the Great Perhaps. Alaska is an enticing young woman who is “friendly and angry, unattainable (with a boyfriend) and available, and immensely intelligent.” She leads Miles and his friends into a labyrinth of emotions that, after a devastating tragedy, make him unsure whether there’s a way out. Looking for Alaska is a modern classic that looks into the brutal depths of young love and growing up. It is mainly based on Miles’ growing attraction to Alaska. There are parts in the story that are essential to teenage life, like pranks, studying, bets and parties. The communication between the characters, their pasts, and the way they cope with life is relative to the way teens do so in real life, which is why it has grown to be such a prestigious book among the young adult reader community. Every aspect flows with an eloquence only Green can manifest within a story. 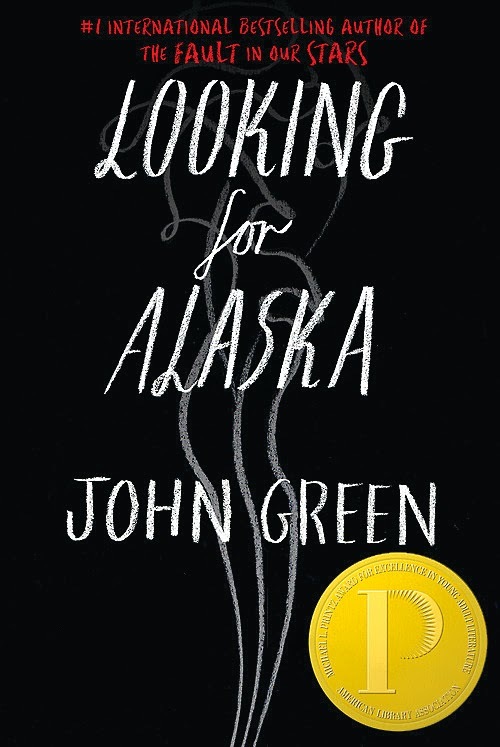 The reason Looking for Alaska stands above John Green’s other works is because he did not try so hard to write a book that touched the hearts of readers; he simply wrote it for the sake of creating a world where the reader sympathizes for and feel connected with the characters. Even if you don’t shed a tear at the end, you’ll find yourself attached to Miles and Alaska, just like they are to each other.